This sausage skewers recipe is an excellent idea to fan your parties! 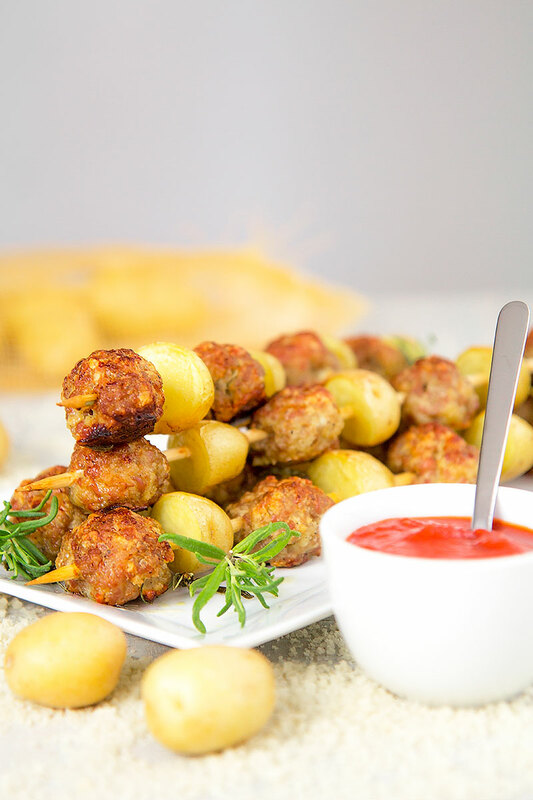 The peculiarity of these skewers is that are composed with meatballs stuffed with blue cheese. At this time, I choose breakfast sausages, but I like to prepare it with Italian or hot bulk as well. 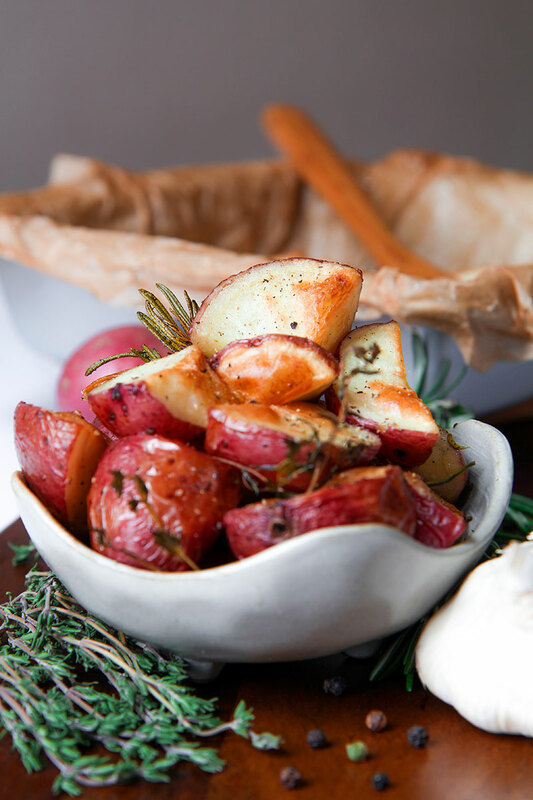 Roasted baby potatoes flavored with rosemary and garlic complete this tasty appetizer. 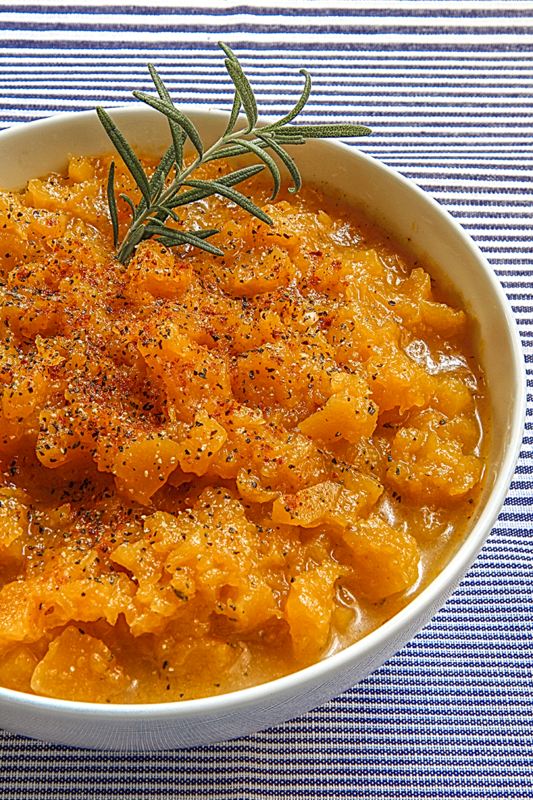 An easy recipe for kids and their parents! 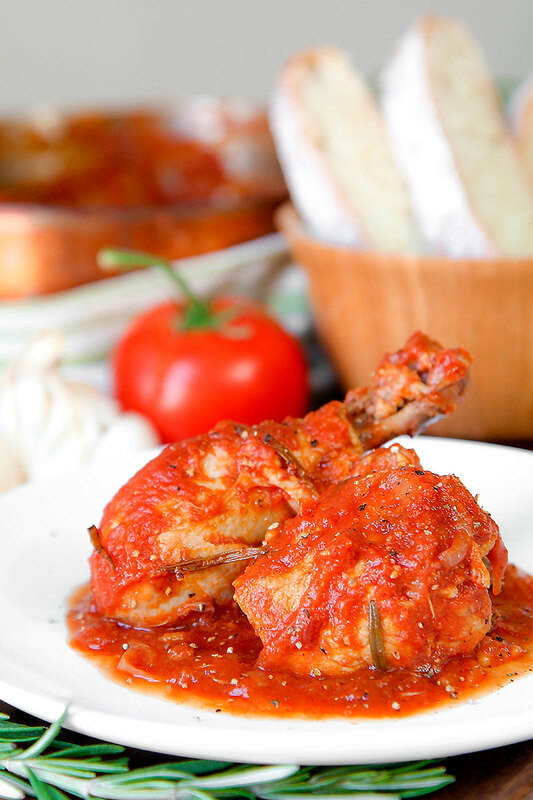 Chicken cacciatore, is one of the most popular Italian recipes. Named “pollo alla cacciatora”, this recipe is prepared with some little differences in almost all the regions of Italy. I like sear the chicken reduced into pieces before slowly cook it into a fresh tomatoes sauce. Garlic, rosemary and give at the meat a delicious flavor. Even if it’s possible braise the meat with white wine, I suggest baste with red wine in order to make the taste of the sauce bold! 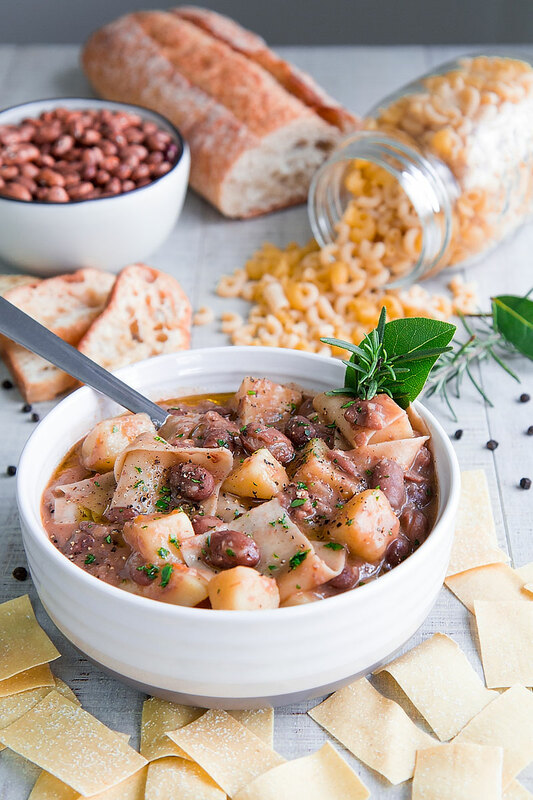 Really want a great stew even if summer? 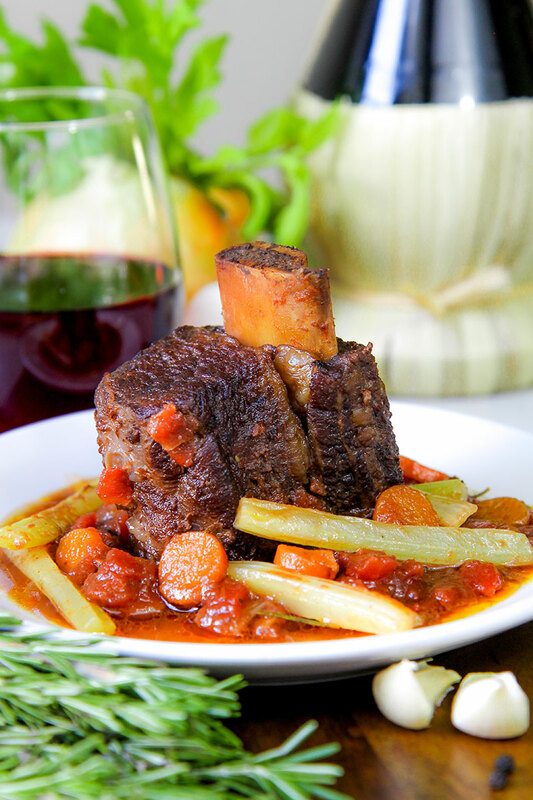 These beef short ribs are right for you! Slow cooked meat braised into red wine with a touch of freshness thanks to crispy celery hearts and petite diced tomatoes! 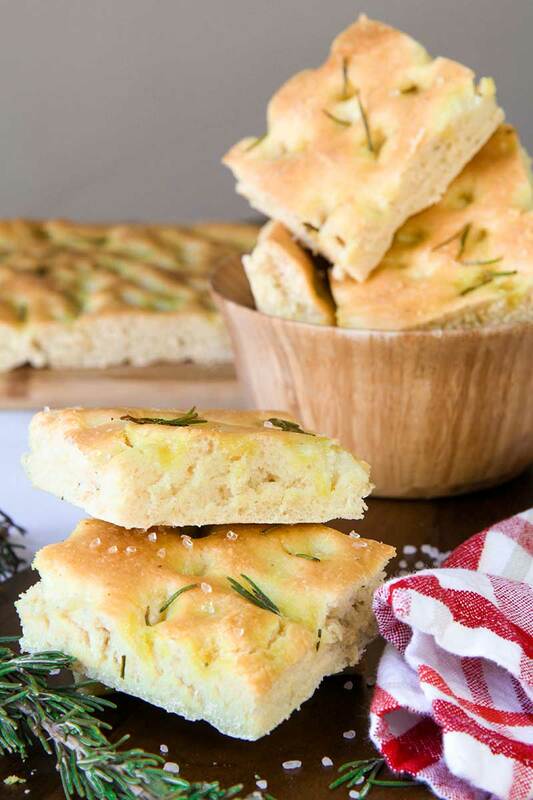 Rosemary flatbread is a Tuscan specialty! 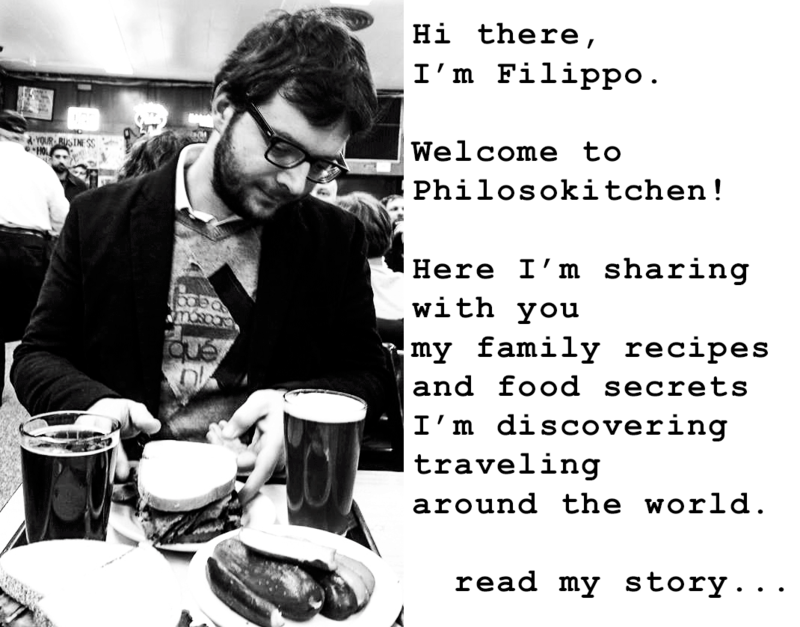 In Italy it is called “focaccia” or “schiacciata”. Coarse salt is essential to obtain the characteristic taste and texture. The Italian tradition requires adbundant olive oil. For this reason the quality of the oil is essential to obtain a great “schiacciata”. I love load my rosemary flatbread with cheese, baked vegetables or cured meats, but it is delicious simply plain as well! Roasted potatoes with butter and herbs is an easy and tasty side. Its pair perfectly with seared tuna or salmon, meats or eggs. The secret to obtain perfect roasted potatoes is poach them into boiling water a couple of mins before baking to eliminate the starch on the surface of the potatoes. The result will be a crispy crust! Two days ago, I saw with my great pleasure some fantastic beef cheeks exposed on the counter of my butcher. The surprise was huge, given that in two years living in Columbus, I had lost hope to find them! I did not lose more time and I bought them right away, anxious to cook one of the most delicious Italian recipes that I know! I came home with everything I need to prepare a fantastic stew braised in red wine, and I put the meat into the wine and the other ingredients to marinate overnight; You can see the result in the pictures showed below! 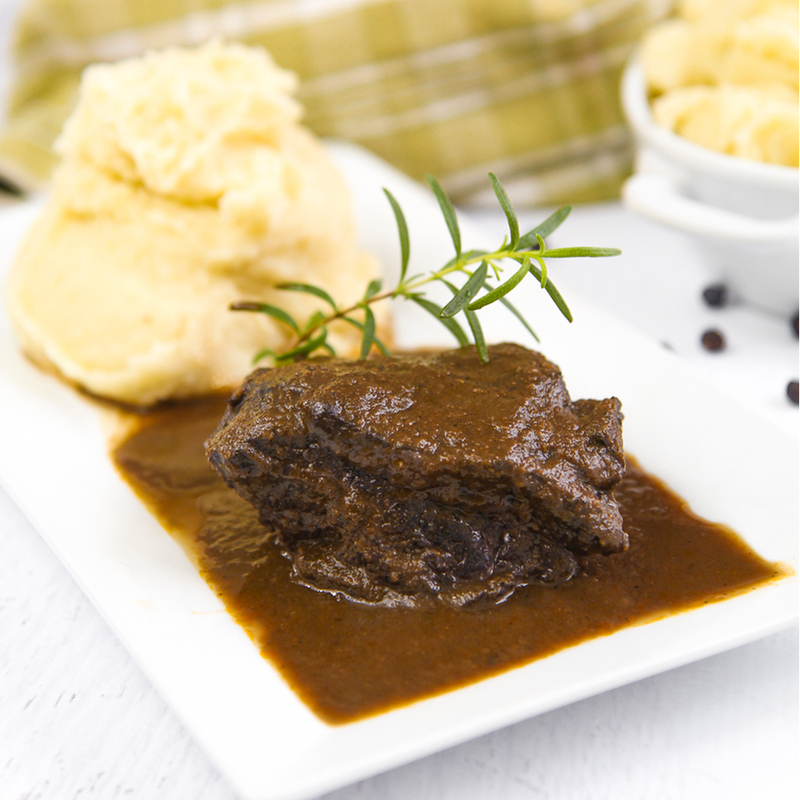 The braised beef cheeks are tender and tasty. If you’ve never tasted them, overcome any hesitancy; The flavor is the same as a good piece of lean beef, but it is even more tender, because their marbled meat; You will not be disappointed!